Who Wouldn’t Want A Sombrero-Wearing Chihuahua on a Jumper? Sometimes summer evenings get a little chilly and you need a jumper to throw on to beat the goosebumps. Right? Well I’ve found that jumper. Because who wouldn’t want a sombrero-wearing chihuahua on theirs? Especially when this chihuahua and his sombrero are made of hundreds of multicoloured sequins. And we all know that sequins are like my favourite thing in the entire world. Thanks Markus Lupfer. I know you’ve always got my jumper-covered back. 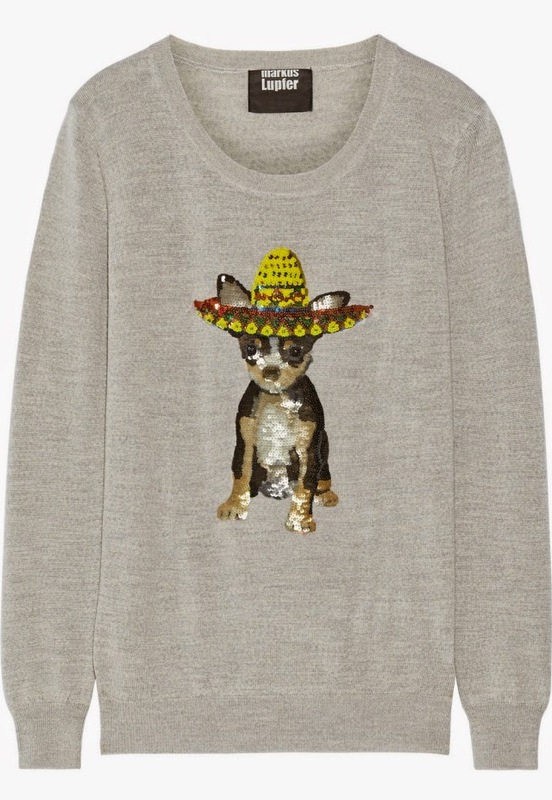 Get your Markus Lupfer Sombrero Chihuahua Jumper from Net-A-Porter. Previous Post Can I Still Wear Dungaree Shorts?